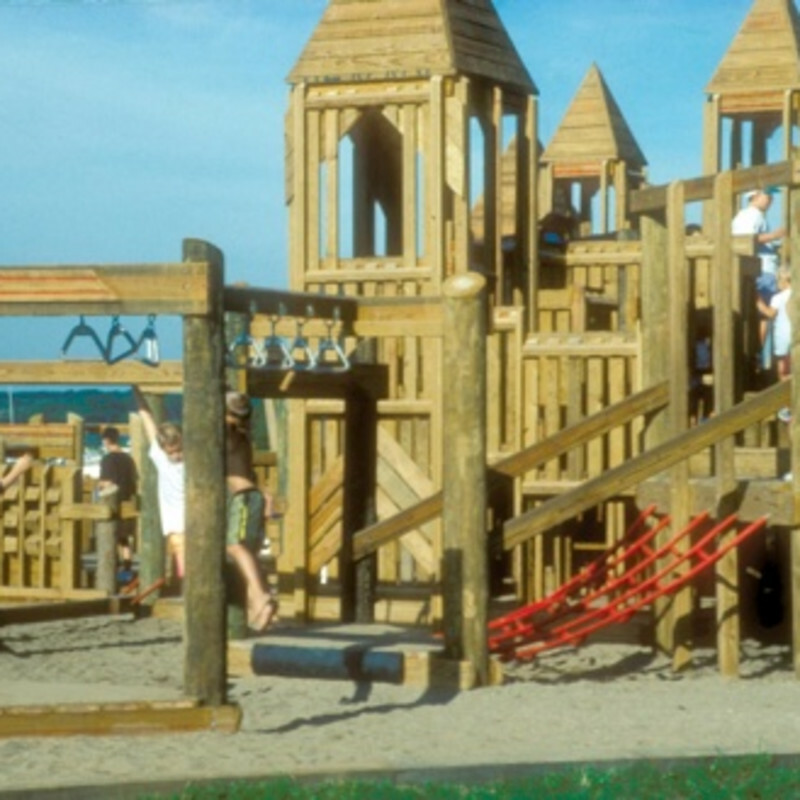 Featuring a large wooden playground built in the classic castle style and situated right on the lake, the Big Creek Playground provides good old fashioned fun for all children. Parents will enjoy watching the sailboats scurry across the lake while their children scurry up and down the playground. Children can hang from monkey bars, walk across balance beams, bounce from huge tires, and climb up and down the castle towers. Parents can reminiscent about their own time playing on playgrounds just like this.